Buy or lease a new INFINITI and drive home in the luxurious new sedan or SUV you deserve. Our INFINITI dealership near New Britain, CT, has some of the most popular new INFINITI models for sale. Test-drive a new INFINITI Q50 or Q60 if you’re looking for a sophisticated sedan, or see how you feel behind the wheel of the new INFINITI Q70. We also have spacious SUVs, such as the INFINITI QX30 and QX50. The new INFINITI QX60 offers plenty to love, or you can explore your new INFINITI QX80 lease options. 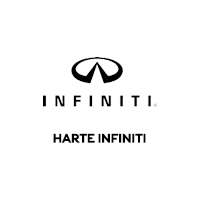 Visit Harte INFINITI to buy or lease a new INFINITI and upgrade the time you spend on the road!